Saving space, reducing parts count, minimizing potential leak points, delivering good performance under all anticipated conditions, and cost savings are all hallmarks of a successful product adaptation. 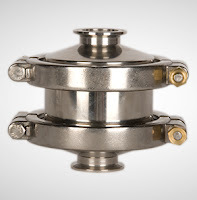 The Mark 934 Sanitary Steam Trap from Steriflow accomplishes all of these things for tank heating operations in food, beverage, or biopharma settings. 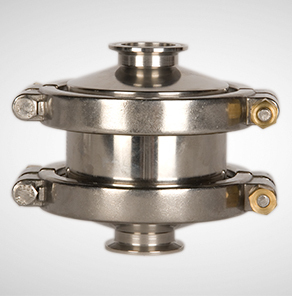 The innovative steam trap is essentially two different sized traps built into a single unit. One path employs a large orifice to accommodate large flows during process heat-up, replacing the more traditional bypass line with its additional piping, fittings, and specialties. A smaller orifice handles flow required for maintenance of tank temperature. The activation of either path is automatically controlled in response to the load on the unit. The video below provides a more in depth explanation, description, and illustration of how the Mark 934 Sanitary Steam Trap functions. Share your steam system requirements and challenges with product application specialists, combining your own process and facilities knowledge with their product application expertise to develop effective solutions.